Our business centres around facilitating the international transport of goods in international trade transactions and we strictly carry commercial cargo only. Our ethos is to help Irish companies trade overseas, be it by Importing goods for production or exporting finished product. We work worldwide, and have reliable agents and partners in every major city and port, and by extension this ensures your shipments receive the same care and attention to detail from our overseas agents as what they receive from us. Daily departures, express, and scheduled services for groupage and dedicated loads and part load. Deep Sea Shipping to and from all corners of the globe for Containerised and LCL import/export shipments. For urgent shipments, economical consol's and express airfreight services. We employ our own in house DGSA (Dangerous Goods Safety Advisor) and expertly manage dangerous goods shipments by road, sea, or air. Fast and reliable parcel and package service for urgent shipments across 220 countries. Express and economy options available. Designing unique and tailor made transport services incorporating the most advantageous and economical elements of multiple transport modes. For additional piece of mind when shipping your cargo Worldwide, Atlas can provide competitively priced marine insurance, which is underwritten by Lloyd's of London. With a strong network of worldwide trusted agents and partners FCS International Shipping are able to handle complex cross trade shipments across land, sea and air. 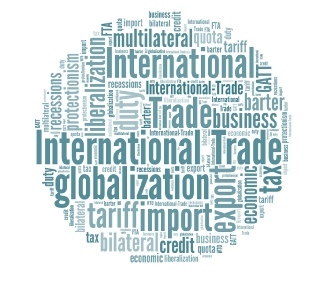 Offering advice on international trade issues such as trade documentation, commodity codes, transport methods, packaging selection, customs procedures, incoterms etc.